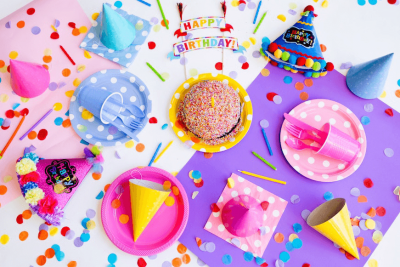 Planning a birthday party for your kid can quickly become a daunting task, especially if this is the first time you’re hosting a celebration with more than just the family. 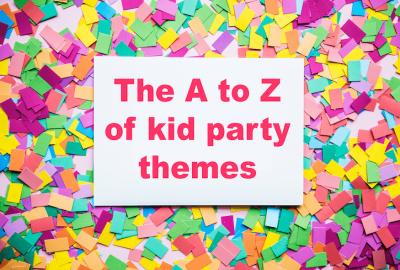 Don’t stress: we’ve got you covered with a comprehensive guide on kids’ party etiquette and the dos and don’ts that will make your child’s birthday party as smooth and hassle-free as possible. How many kids to invite? If it’s up to your kid, they’ll probably hand out invites to the entire class, all their soccer pals, neighbour friends and distant relatives that live nearby. As great as this may sound, this size of a party is often impractical for most families, especially if you’re on a budget. So how do you know where to draw the line? One rule of thumb is to invite as many children as your child’s age plus one (so four kids if your kid is turning three, seven if they’re turning six, etc). This is not only a handy solution for more manageable parties but also ensures everyone will have a good time. Younger children tend to get overwhelmed by too much social interaction so you can help them develop their social skills by teaching them to handle a larger group each year. However, this rule of thumb isn’t universal! It mostly depends on your child’s personality. Do they like large or small groups? In addition, the number of guests will depend on the activities and the amount of space you have. Although some schools now have guidelines which say you should invite the whole class, you don’t generally need to invite everyone. However if you plan on inviting all but 2 or 3 children in a class, then you should invite all of them as you don’t want to make kids feel left out. If a big party isn’t within your budget but you still want your child to celebrate with all of their classmates, you can ask their teacher if your kid can bring a small birthday treat to class. Think doughnuts, cupcakes or homemade brownies – this way the whole class will feel included in the celebration. Alternatively, if the birth dates coincide, you can share the party with another classmate. Just don’t fall into the trap of automatically doing this every year. Kids are remarkably resilient but this doesn’t mean you should play with their feelings. It’s generally poor kids’ party etiquette to hand out invites at the playground or at school (especially if you’re not inviting the whole class). Instead, it’s better to send the invites in the mail, by email or have your kid call their friends. Whether you go with paper or e-invites, make sure they state the date, time and location of the party, as well as who the party is for. As a rule of thumb, include both the start and end time of the party so there’s no confusion about when parents should pick up their children. Do I need to expect RSVPs? It’s completely normal to expect parents to RSVP – after all, you need to provide enough treats for everyone who attends. In case someone doesn’t reply to your invitation, feel free to reach out and call them. This is also a great opportunity to remind them of the time and day of the party, and also ask about things like food allergies. Some parents automatically assume a birthday party means a few hours of peace and quiet and will happily drop their kid off and leave, while the over-zealous type may prefer to keep watch. Another rule of thumb of kids’ party etiquette states that you can expect parents to accompany children under five, while older children are normally dropped off. To avoid any confusion, be clear on the invitation. If you don’t mind parents attending, make sure to cater to their needs too – a Saturday afternoon party is all that much better with a glass of wine and a few adults snacks. What’s a birthday party without some cake? However, children can become unmanageable if they over-indulge in sweets so make sure to provide healthy snacks, too (we guarantee you, it will make you immensely popular amongst the other parents). Depending on how long the party is, you can also serve hot dogs, chicken nuggets, pizza, and sandwiches – they’re relatively easy to make and serve, and are a total hit with the little ones. It’s also a good idea to have a cake that’s big enough for at least half the children to have seconds. Most will be too shy to ask for more but it’s always better to be safe than sorry. 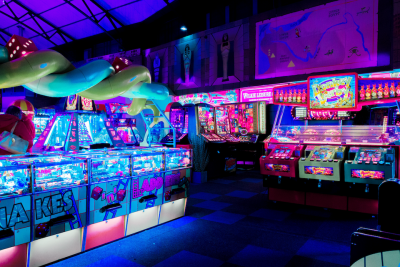 The rule of successful kids’ parties states that if you plan any party activities, you always need to include two more games or crafts than you think you will need. Children can become bored with an activity fairly quickly or may finish it faster than expected. As a general rule, plan 3-5 crafts or games for a party that’s last between one and a half and two hours. For longer parties, you’ll probably need 4-6 activities. If you’re handing out prizes, make sure you keep them fairly small – stickers or small packets of sweets are the best. Include non-competitive games too to encourage the kids to work together in teams. Party favours, or goody bags, are a staple of the kids’ party etiquette. You don’t have to break the bank to be a good host – make a small party bag with a few toys and candy, and make sure there’s one for every child attending the party. Sometimes, unconfirmed guests may show up at the last moment or a parent may arrive with the guest’s sibling or siblings. In this case, you shouldn’t feel obligated to provide them with party bags but it’s always good to have a few extras so everyone feels included. When to open the gifts? Kids’ birthday gifts are like Pandora’s box: once opened, they can unleash a total nightmare! Your child may announce they hate what they got, or be reluctant to part with it. To avoid this completely, you can decide not to open gifts at the party, especially if the guests are five years old or younger. 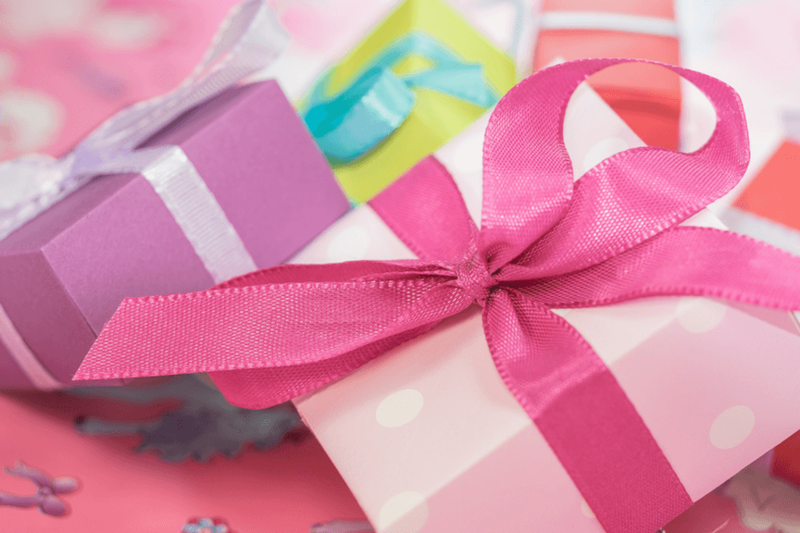 If you decide to open the gifts at the party, remind the kids what gifts represent and make sure you teach your child to say ‘thank you’ after opening each box (even when they get duplicates). Make sure you encourage your child to write thank-you notes, even if they thanked the guest in person. This teaches consideration, gratitude and important writing skills that will last them a lifetime. Smaller kids may struggle to write the entire note but can sign their autograph or draw a picture to send their thanks.